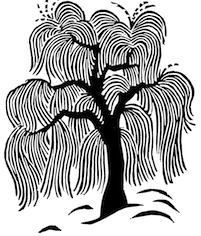 No Language Is Neutral is the subject of many critical articles and book chapters. This section outlines some key arguments about its treatment of migration, language, and the nation. Think of this section as bringing you up to speed on a conversation about Brand’s text. These are important points that have already been made; as you read and think about the book, you can consider how your ideas could contribute to this ongoing discussion. As you read these syntheses of scholarship, consider also how the critics identify underlying tensions in the text and among these ideas more generally, especially regarding ideas of “official” culture and authentic experience. Many critics focus on the way Brand characterizes a self as being shaped by migration and therefore a sum of heterogeneous experiences, in a constant process of change, or in a state of exile. Teresa Zackodnik writes that Brand’s text regards “the exiled self as place and belonging” and therefore makes room for a variety of experiences and voices (194). Ellen Quigley, meanwhile, regards the poems as exhibiting a poetics of exile that “suggests a longing for origin” and yet gestures towards rejecting that conception of origins (48) in favour of dwelling in the vicissitudes of the present. Such approaches raise questions about the tension between stable origins and cosmopolitan identities that draw on the knowledge of many cultures and places. No Language Is Neutral evokes Kamau Brathwaite’s conception of “nation language,” or speech that resembles the everyday language of people who live in the Caribbean—not “official English,” but “the language of slaves and labourers” (5), which Brathwaite sees as influenced by “the African aspect of our New World/Caribbean heritage” (13). Critics have found many implications of this use of language. Maria Caridad Casas sees the book’s invocation of this form of English as opposing the sexism and racism of dominant, written discourses (xiii-xiv), while Susan Gingell points to Brand’s engagement with the language of colonialism and oppression—as well as that of male literary predecessors including Walcott—as “more inclined to take umbrage than to find peace” (50). These are examples of how a large idea—like nation language—can be adapted by a writer in subtle, specific ways. As you read, think of how Brand’s text incorporates nation language as well as any other relevant critical or theoretical ideas you have come across. Some critics extend their observations on migration to make larger conclusions about the nation. Jason Wiens argues that Brand’s language, rather than reconciling difference, suggests the nation has “frayed to expose an ambivalent site where resistance may be voiced, located, and heard” (100); this argument invokes Homi Bhabha’s conception of liminality, or a state of being in between places or cultures. No Language Is Neutral also predates and yet illustrates nicely Marlene Goldman’s notion of “drifting”; according to Goldman, drifting “offers an alternative to the boundedness of home and the nation-state” (13) by refusing origins and recognizing differing histories that are “based on shared experiences of class, race, gender, and sexuality” (14). In engaging with these ideas, No Language Is Neutral raises still more complex, open-ended questions about culture and identity. As you read, consider how the book contributes to the larger debates in the questions below. 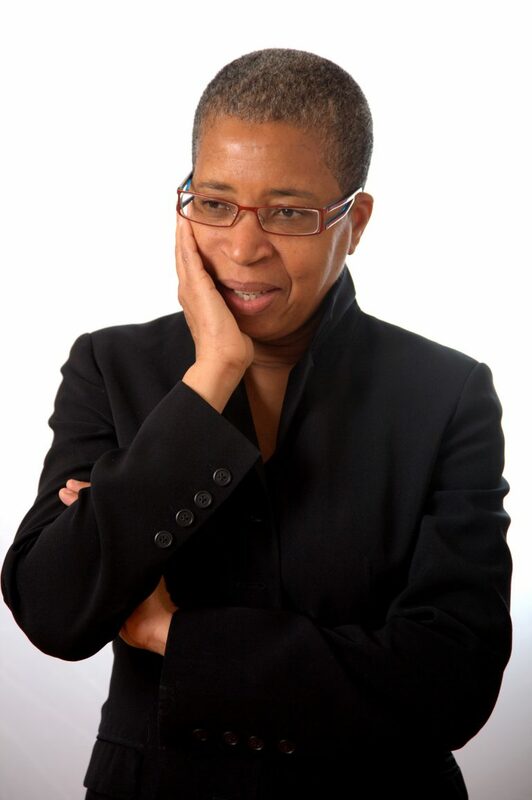 Dionne Brand in 2009. Simon Fraser University, CC BY 2.0, via Flickr. To what extent have your experiences been shaped by living in a single location, or by migration? In what ways do these experiences work together? How does Brand’s text address this relationship, and, in turn, present-day debates on multiculturalism and national identity? Brathwaite’s concept of “nation language” offers a specific example of supposedly non-official English. In what ways would the English you speak be considered official, and in what ways would it not? To what extent is Brand’s statement that there is no neutral language—that all language reflects our experiences and is therefore inherently political—applicable to your experience? Goldman suggests that No Language Is Neutral anticipates Brand’s later novels, in which Brand explores the rejection of origins. What are the real-life implications of this rejection? Do you find it in any way contradictory or paradoxical that this rejection occurs in a text whose very language alludes to specific histories and identities? Brathwaite, Edward Kamau. History of the Voice: The Development of Nation Language in Anglophone Caribbean Poetry. London: New Beacon, 1984. Print. Casas, Maria Caridad. Multimodality in Canadian Black Feminist Writing: Orality and the Body in the Work of Harris, Philip, Allen, and Brand. Amsterdam: Rodopi, 2009. Print. Gingell, Susan. “Returning to Come Forward: Dionne Brand Confronts Derek Walcott.” Journal of West Indian Literature 2 (1994): 43-52. Print. Goldman, Marlene. “Mapping the Door of No Return: Deterritorialization and the Work of Dionne Brand.” Canadian Literature 182 (2004): 13-28. Quigley, Ellen. “Picking the Deadlock of Legitimacy: Dionne Brand’s ‘noise like the world cracking.’” Canadian Literature 186 (2005): 48-67. Wiens, Jason. “‘Language seemed to split in two’: National Ambivalence(s) and Dionne Brand’s ‘No Language Is Neutral.’” Essays on Canadian Writing 70 (2000): 81-102. Print. Zackodnik, Teresa. “‘I Am Blackening in My Way’: Identity and Place in Dionne Brand’s No Language Is Neutral.” Essays on Canadian Writing 57 (1995): 194-211. Print.